Monday, January 9th, 2017 at 11:28am. There is a burst of new restaurants popping onto the scene in Northern Palm Beach County this year. Stunning dishes selected from artisanal ingredients, amazing atmospheres and delicious cocktails make these restaurants the top choices amongst locals and food critics alike. 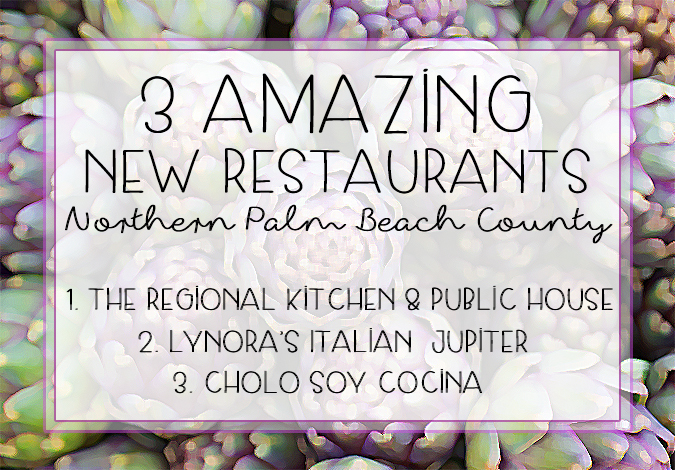 The Regional Kitchen & public house is one of the hottest new “chef-driven” restaurants in West Palm Beach. What makes The Regional so impressive is its soulful presentation. Chef Autry runs the kitchen and her fine sense of detail; luxurious components and poignant touch on her dishes make this restaurant stand out. Delicious, hand crafted sauces, freshly caught seafood and heirloom vegetables decorate the menu.